From USA Today best-selling author Brett Battles comes the latest in his award winning Jonathan Quinn thriller series. The unthinkable has happened. A life has been extinguished - one belonging to someone Jonathan Quinn and his partner Nate care about more than almost anyone else in the world. Because if there is one thing those in the shadow world should know, you do not mess with Quinn's people. 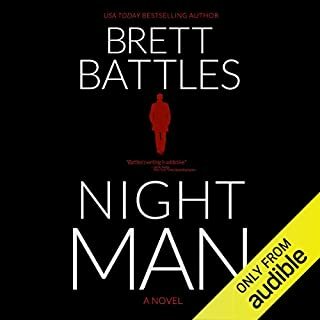 ©2017 Brett Battles (P)2017 Audible, Inc. In this latest installment to the Jonathan Quinn series it is really the next chapter in the previous book since it picks up with the last chapter of The Unleashed. In this book the characters are all over the globe. Nate, Jar and Daeng are teamed up and jumping from Singapore to Germany. Quinn and Orlando are in NC. The goal is to find who killed Quinn's sister Elizabeth and who hired the killer. When Jonathan talks to Helen Cho she warns him off and orders him to stay away. Meanwhile Nate finds out that Helen has already found the woman responsible for Elizabeth's death. At the same time Jonathan and Orlando locate Dima the woman Nate and Elizabeth had been protecting. They want to know why Helen is helping her and who wants to kill her. The story she tells is both a frightening and heartwarming tale of family betrayal and two sisters love and willingness to protect each other. While hot on the trail of the killer Daeng ends up being kidnapped by her. She has no clue, she thinks she had gotten her target, Dima. Whewwwww! Anyway, Misty has a small part in the book BUT if her thought processes pan out, she may be bringing back the agency her former boss (Peter) used to head up. I can't say more because I wouldn't want to spoil this book for anyone. Scott Brick is as always superb. I love what he brings to the books he narrates. This is one of my favorite series, I wait anxiously for each new book. Jonathan Quinn is one of the best series! 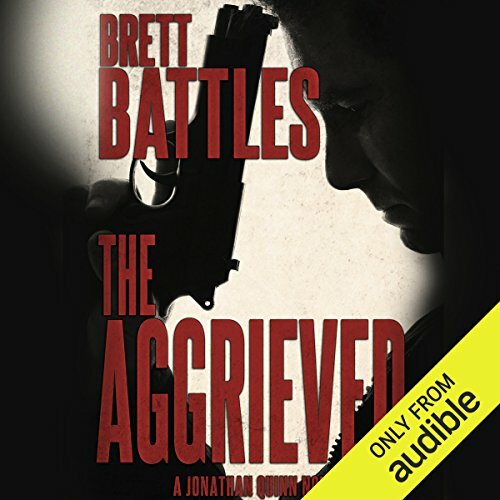 The Kindle ebook version of The Aggrieved was available in early June. Since the audio version was going to be delayed for four months, I read the Kindle version when it was released. I'm glad I did because The Aggrieved is a very complex book due to all of the globetrotting and the sheer number of characters. 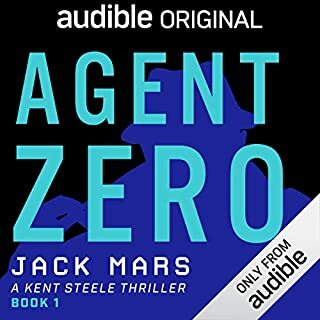 Having now completed the Audible version and I am pleased as always with Scott Brick narration. The Aggrieved begins where The Unleashed ended. Quinn's younger sister Liz who is also Nate's girlfriend has been killed by a female assassin who believed she was another woman. Both Quinn and Nate blame Nate. The man who hired the assassin is a Pakistani terrorist. The ultimate goal is to track down the terrorist and two of his henchmen while freeing two sisters married to the henchmen and capturing the assassin. Ultimately, after months of searching all are found in London. The operation is huge involving many good guys doing the tracking. 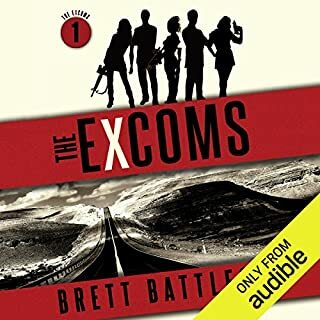 One can easily foresee some of the characters appearing in author Brett Battles' future novels in his Ex-Coms spinoff series. Meanwhile Quinn's and Nate's partnership is in question. Orlando, Quinn's wife, is not only invaluable as part of his team but also helps Quinn and Nate deal with Liz's death. I do not have a favorite novel in this series, All 11 are terrific. I've read all of the Quinn novels. This was my favorite to date. I loved the characters and the fast paced action throughout. The ending was fairly predictable but a solid book all around. J Quinn and crew are a blast to keep up with. Thanks Brett Battles and orator Scott Brick. I was hanging out for this book and was not disappointed. I bought it as soon as I could and placed it at the top of my books to listen to. My advice? Give it a whirl. 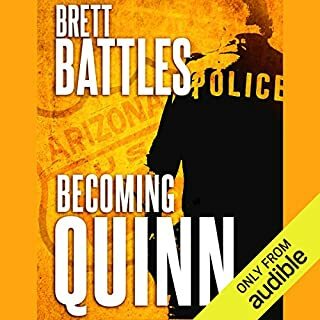 I've listened to all of Brett Battles' Jonathan Quinn books and I didn't realize how much I missed the character Jonathan Quinn and ESPECIALLY Scott Brick's voice. After completing this listen, I feel like I've just gone home for a heart warming visit. It's so good and so worth the credit. Because of the way this book ended however...Brett...you need to hurry up with the next release in the series. It's not comforting to leave us hanging!!!!!!!!!! SO...FOCUS on Jonathan Quinn! I always look forward to the release of new installments in the Johnathan Quinn series, and this one doesn’t disappoint. 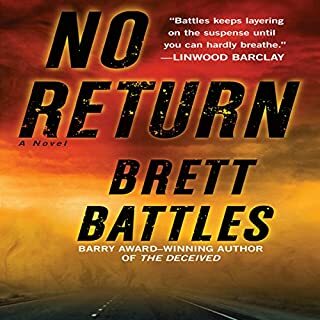 Brett Battles writes great thrillers with lots of twists and turns. Scott Brick, as usual, brings the characters to life with each one having their own voice. If you like high octane thrillers you won’t want to miss thi one. 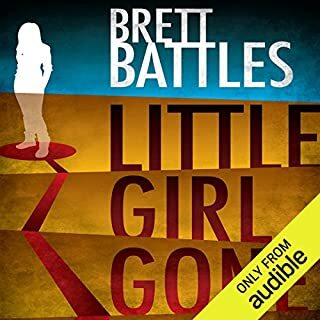 I'm never disappointed with any of Brett Battles books. Always keep me riveted all the way to the end. The end was anticlimactic , the book prior to this one was excellent and left me eager for the Aggrieved. I was expecting a little more at the end. ; it was a good listen but could have been better.